Among the research reports, case studies, and other content buyers use to make decisions, thought leadership continues to be an important tactic for building trust with prospects — both within the government and the private sector. How do the industry leaders stand out? During the Federal Content Marketing Review panel discussion, Dante Ricci, Global Public Services Marketing & Communications lead at SAP, said it is important to focus on quality over quantity of content. We recently sat down with Dante to expand on that comment and talk about how he approaches thought leadership. MC: You said it’s important to focus on quality over quantity of content. In your opinion, what are the components of high-quality thought leadership content? Dante: I think there are three factors that make content high quality. First, it has to be a bit provocative. It needs to show that you and your organization think there may be a different or better approach to accomplish the outcome the reader is looking for. That theme should resonate with the hearts and minds of those readers and be different than what others in the market are saying about the subject. Being provocative doesn’t mean being risky; it just means your company may have an approach that is better than the status quo. You also need to have a clear, concise message. People are using mobile devices and they’re not going to read 15-page pieces on small devices. Rather, they need content that is shorter and more immediately impactful. Finally, you have to make it credible. We use relevant statistics or facts backing up our statements or clear examples from customers who have followed that same approach or used the technological approach we talked about enabled by our partners and SAP. MC: We have found people need to engage with different types of content. What is your favorite mix? 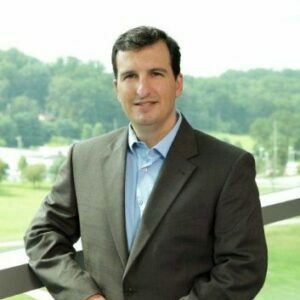 Dante: When we build thought leadership, we align the topics we want to cover with the other teams within SAP and with relevant partners, then we build a package around each topic. For example, we may start with a research-based white paper. Then we use that as the basis for building out different content types, like an infographic and blogs linking to the white paper. One piece of thought leadership may go out in four or five different channels and structures. MC: Do you do any video for thought leadership? Dante: We love video, but focus them mostly around how customers are using technology. I think those types of videos are the most impactful way to show people how their colleagues are using technology to improve. MC: That makes sense. Back to the thought leadership, what is your approach to developing a content strategy? Dante: I align to the corporate strategy and go-to-market strategy for the specific industry and topic area. The content strategy should be focused on building content aligning both the corporate strategy and our customers’ issues that we can help solve by delivering relevant innovative solutions addressing their business needs. We ask ourselves many questions before we choose a topic, such as: What capabilities do we have in our solution offerings that can help our customers achieve their mission? What insights can we convey that will help them achieve their mission? What are areas where we co-innovate with our customers leveraging design-thinking methodology? I also suggest creating some type of scorecard — building a content strategy, but not executing on it and being accountable for it is not very helpful. Our scorecard includes the impact on market awareness measured by SAP Share of Voice, where we are, what the status is, next steps, and expected due dates for content. You need to constantly assess, realign, and stay accountable for your strategy based on analyst, customer, and partner feedback. MC: Once you have this content plan, how do you drive the audience to those pieces? What kind of strategies are you using to make sure that they get seen? Dante: This is an interesting question because I think there are a lot of different ways you could do this. Our aim at SAP is to build the highest quality and impactful content. High quality trumps quantity in my experience. We embed the content into social media — all the relevant digital channels. We send content to industry influencers and customers, and engage with them at their preferred communities. The point is, you can’t just develop a quality piece of content and assume people will find it. You have to actively push it out. MC: Finally, just out of curiosity, who are some of the thought leaders you follow? Dante: I follow people who lead with purpose, whether that is helping others or helping the world become a better place. The SAP company purpose is closely aligned with my personal interests. I follow my best friend, Sean Burch. He’s got eight world records for climbing mountains and doing all kinds of expeditions. His purpose in the world is not only to climb mountains and do interesting expeditions, but he likes to tie those together with purpose. For example, when he goes to a place like Nepal, he will collect donations and make deliveries while he’s there, and spend time helping others and volunteering. I think that’s neat. I like Dan Rockwell because he really helps me think as a manager, as a person at a workplace, how to improve things. Lolly Daskal is motivational in terms of thinking about helping the world become a better place. I also follow the World Economic Forum. They use fact-based graphs and charts that are easy to read and help clarify my thoughts around our global issues. And I recently started following Richard Branson — he is definitely someone who leads with purpose. There you go, some good reading to follow up on! Thank you Dante for taking the time to speak with us. 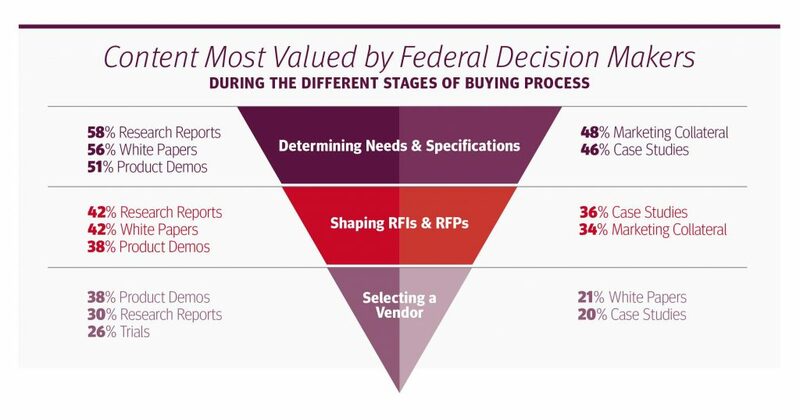 Anyone marketing to the federal government knows the challenges many prospects face with accessing content. In fact, working around blocked websites and other technical challenges is a factor in creating a content strategy. Those barriers don’t mean you can’t reach federal decision makers via new channels. 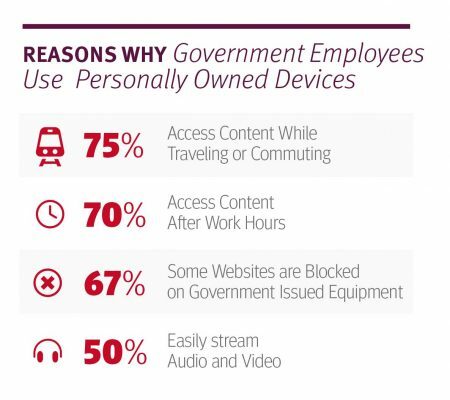 Like most people, federal decision makers also own personal mobile devices, and they use those devices to engage with work-related content. According to the 2017 Federal Marketing Content Review study, three quarters of federal decision makers are doing that during their commute. Think about it: during that time when they are transitioning between personal and work life, they choose to learn about the products and services that can help them in their job. They’re watching videos, reading case studies and white papers and seeing what industry thought leaders are saying about market trends. That means it’s critical to create a mobile-first design and distribute content on platforms that are designed for mobile, such as LinkedIn and Spotify. Are you creating content with the thought that your buyer will engage with it during a commute? 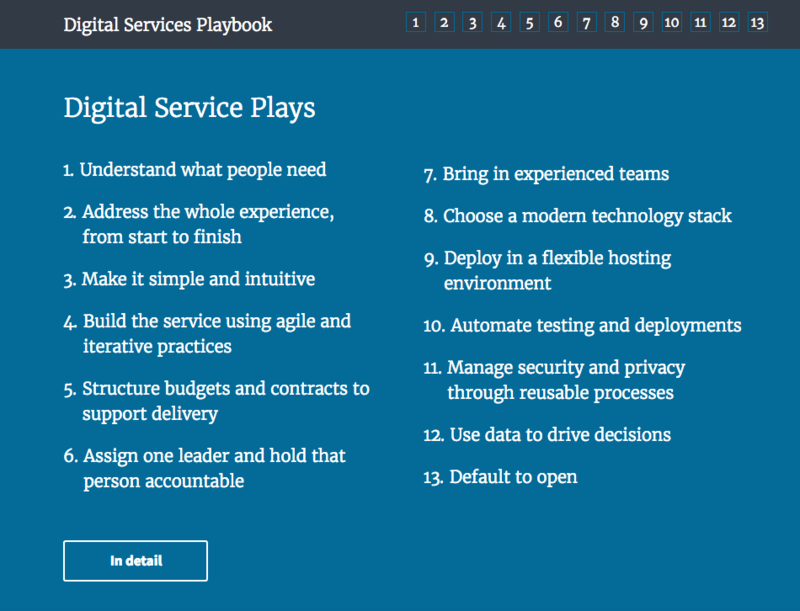 In addition to mobile-first design, what considerations do you take into account? We love using data to inform content strategy. 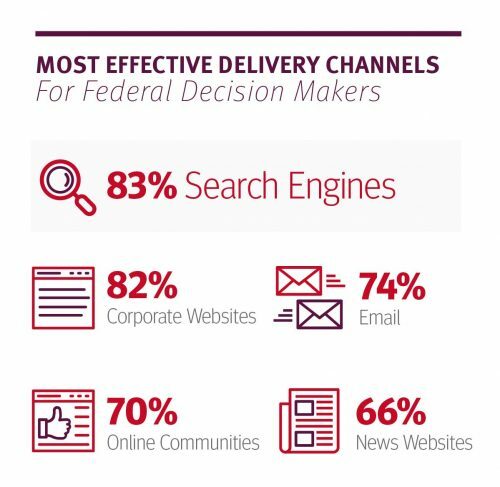 The 2017 Federal Content Marketing Review data provided interesting insights into where federal decision makers go for content and what they want to see. We recently spoke with a decision maker inside the government (who requested we not identify him) about his thoughts and perspectives. While this is only one perspective, it does shed some insight into what federal decision makers are looking for in the content. “If I have a problem, the first thing I will do is an internet search to find information,” he said. This aligns with the study, which showed the most effective delivery channel is search engines (83%). His second go-to source to learn about innovative solutions is LinkedIn Influencers. He says he automatically trusts content on LinkedIn more than corporate blogs, in part because he knows the authors have deep expertise in the subjects. It’s not about selling the company’s product; it’s about exchanging ideas and best practices. The company has implemented this solution before. He wants to see some sort of proof, either through case studies or testimonials. A discussion of the specific problem the company solved for the client. Broad discussions don’t tell him what he wants to know — he is skeptical when a company claims they can do anything. The impact. He wants to know how this solution impacted the mission and the difference it makes for the customer. He agrees with the data that product specifications, case studies, and data and research are important types of content. For him, which type depends on where he is in process and where he is accessing the information. But in general, he likes very short pieces of content — a one page for an article or a short video. 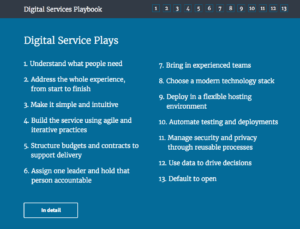 He suggested people selling to the government use the CIO’s Digital Services Playbook as a guideline in how to develop content to reach the government. After all, this is how agencies are approaching their constituents.